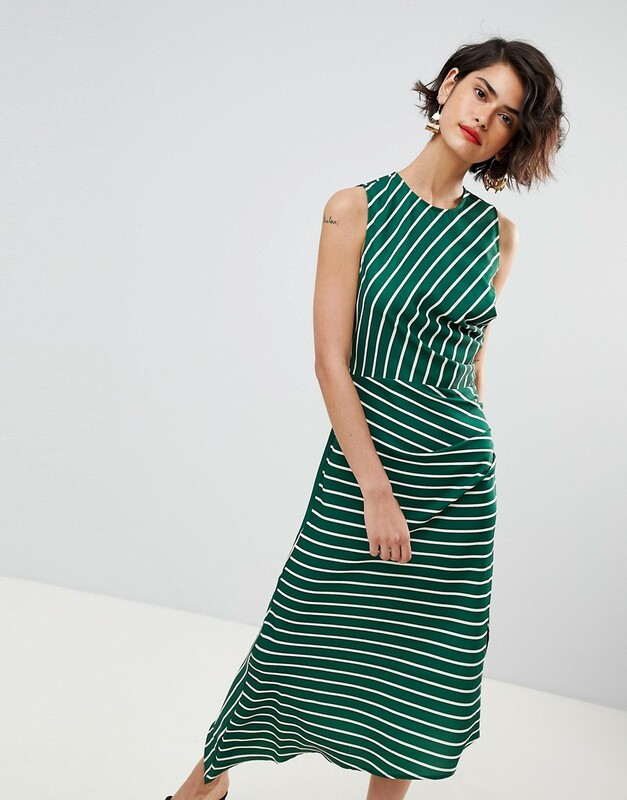 Dress by warehouse, striped design, get in line, crew neck, asymmetric hem, button-keyhole back, regular cut,fits you just right. Delivering seasonal trends for the high street, warehouse offer a collection of directional pieces, with vibrant prints and clean cut tailoring channelling the brands signature style. Statement party dresses sit alongside classic wardrobe staples, all complemented by a key range of jewellery and accessories, including an exclusive edit of three satchel bags.